“Ngapu (Father God), I want to pray for my two sons. I really want them to come to church with me but right now they’re still going their own way. Please help them Ngapu, so that one day they might come back to you”. Danny regularly prays this kind of prayer for his whole extended family, spread out all over the Kimberley region of North West Australia. Danny is a Gooniyandi man living in Broome with his wife as they both receive renal dialysis treatment, but he is from the Yiyili community, 600km inland. Danny is well respected, has a strong trust in Jesus and longs to see more following Jesus. 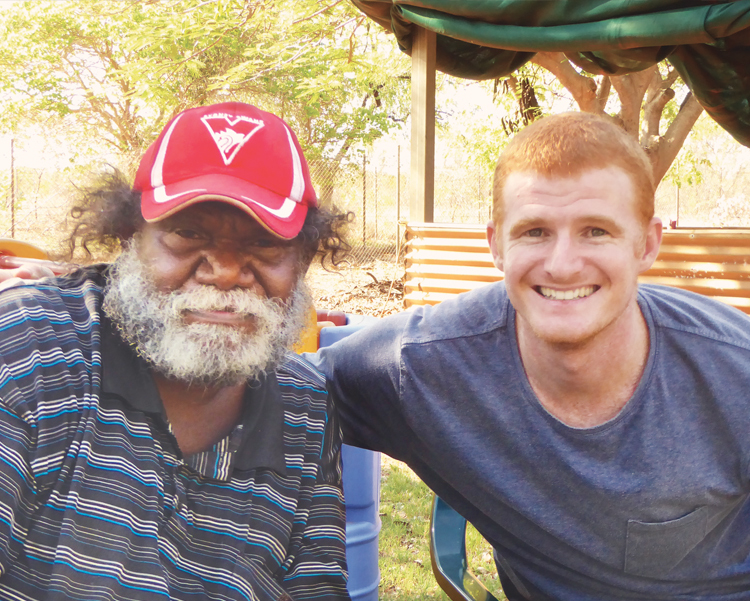 Danny is one of the key leaders in Broome Peoples Church (BPC) – an evangelical Aboriginal congregation. The core members are a diverse group of men and women who come from different communities, speak different languages, and have varying levels of education and economic status. But they are united by a love for Jesus and a desire to see their families and communities transformed by the new life that Jesus offers. Although he has never learned to read or write, Danny serves his brothers and sisters faithfully – through music, driving the church bus and bringing visiting family members to church. His heartfelt prayer for his family is echoed by many of the Aboriginal brothers and sisters in BPC. While there have been many decades of faithful mission amongst Aboriginal people in the North West, Aboriginal churches like BPC remain fragile. There are few younger Aboriginal men and women being equipped to teach and lead in churches across the Kimberley. Through your support of CMS, we have the privilege of working alongside the diverse group of Aboriginal people who make up BPC. Though we are currently the primary leaders and Bible teachers in BPC, our goal as we serve is to help the local Christians take on increasing responsibility in the leadership of the church. We long for more Aboriginal people to be whole-hearted followers of Jesus. We also want to equip them to share the gospel with their own people in ways that resonate with the complex cultural and social context that they live in. Drinking tea, going fishing, sitting around the campfire, learning bits and pieces of Aboriginal language, and driving long distances in the company of our Aboriginal friends – it is often through these enjoyable, informal times that we gain the most insight into their thoughts and actions. There are many differences in our expectations of how things work, our approaches to relationships and our ways of communicating. But as we learn to take these into account we have the joy of seeing God’s word shared and understood more effectively. CMS hopes to have a role in supporting existing churches and equipping Aboriginal leaders for church and society in other centres in the Kimberley into the future. Please pray that God would equip those already leading and raise up more evangelists and leaders for the Aboriginal church in the Kimberley.